This article originally appeared in The Fan Collector Magazine, June, 2014. The ubiquitous screwdriver seems like the kind of tool that no one needs to be taught how to use. This is basically true, but what you may not know is that there are a variety of flavors of the almighty screwdriver and some of them may save you some serious time, as well as make your restorations even better than before. In this article I’m going to walk you through some basic slotted screwdrivers: what they are, what they’re good for, and how best to use them. The ‘Ole Standard is what you are most likely to see at the hardware store or in your tool chest. These screw drivers are the easiest for the toolmakers to manufacture but unfortunately they are the least desirable when it comes to working on fans. The reason is that the standard taper creates high-pressure spots where the torque transfer occurs, right at the top of the slot. Ever seen a buggered up screw? Typically this is because of a standard taper screwdriver. For a proper restoration you’re going to want to file down that damaged screw’s slot to make it look nice again. And next time use a hollow ground screwdriver. This screw has been buggered up from poor technique and the wrong screwdriver. Before restoring this fan make sure to file the slot back into shape. It’s the details that make all the difference. The hollow ground screwdriver is the best way to work on any fan. This screwdriver has been ground down as a secondary operation in the manufacturing process. The grinding operation produces a splined edge as the driver narrows down to the tip. This splined reduction in the thickness of the tool allows a more even transfer of torque across the entire screw’s slot and does not produce high-pressure spots to the extent that a standard taper screwdriver will. While it may take longer to find a hollow ground screwdriver, it is worth the effort. These are the screwdrivers that you shouldn’t be using to open paint cans! 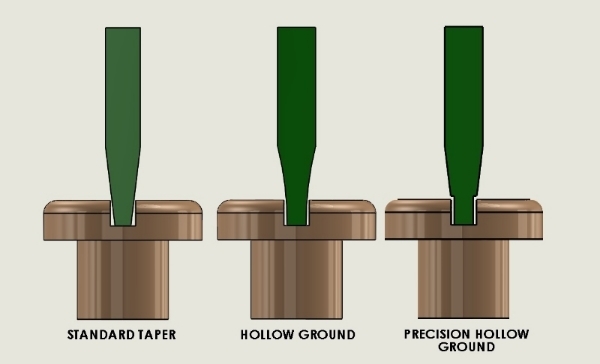 The good news is that with a little ingenuity and a grinder, you can grind a standard taper screwdriver into a hollow ground point on your own. The precision hollow ground screwdriver takes the hollow ground screwdriver to the next level. These tools are often used in gunsmithing but fit right at home with our valuable and delicate antique fans. Rather than ground with a radius, these drivers are ground straight so that they nest right inside the screw’s slot- a perfect fit! These can be found as gunsmithing tools from various sources. The day I first heard about this tool’s existence was one of the happiest days in this fanner’s life! Well maybe that’s an exaggeration but it was a great day. The wedge-grip slotted screwdriver is a tool that is used to hold a screw in place when installing and threading small screws in delicate or hard to reach places. This is the perfect tool for assembling that fan you just spent forty hours restoring! Never scratch your paint again by accident; this screwdriver will make your life much easier. Sliding the black ring to the left causes the driver to squeeze together, expanding the tip and therefore clamping your screw in place at the end of the driver. 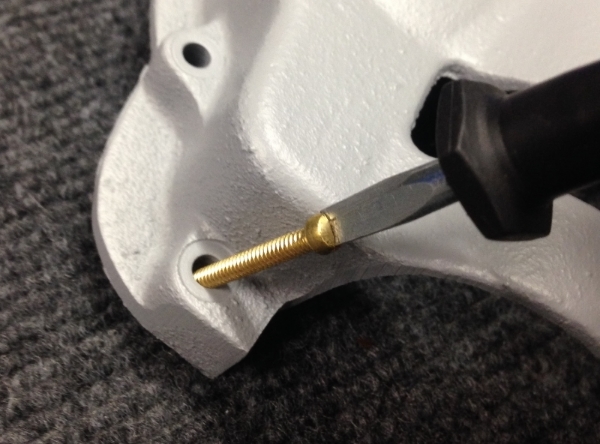 Above you can see a 6-32 screw held into place by the clamping action of the gripping screwdriver only. I hope you enjoyed this article about the common screwdriver. If you know of any neat and useful tools, please don’t hesitate to share them! Remember, we all learn from each other.